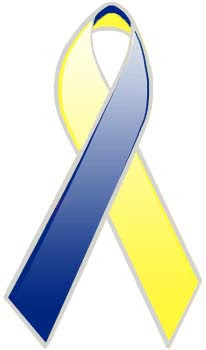 As you may have heard, this month is Down syndrome awareness month. In honor of that, approximately 270 cities across the nation host a Buddy Walk, a huge advocacy event for individuals with Down syndrome. Our local Buddy Walk is this coming Saturday. We are participating in the walk, although we have not done much fund raising since we have been working so hard to fund raise for our adoption of Ms. Addison. If you care to check out our team page or if you would like more information about the walk, click here. We'd love to have you join us if you are able ... there is lots of fun stuff for the kids! You could call your team "Payton's Posse and Addison's Angels"--two names in one! Your kids are so adorable! Praying you can bring Addison home soon! love reading your blog...and tag you're it!! check out my blog!